Hey y'all! 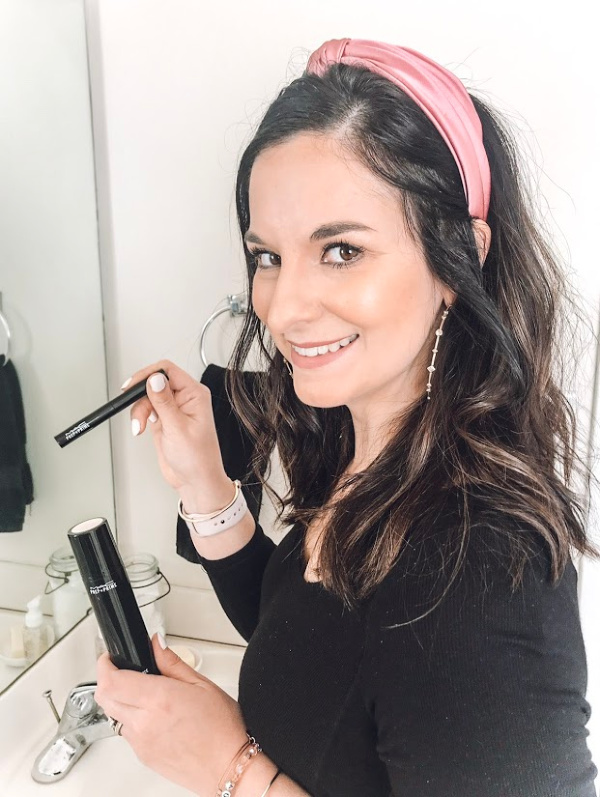 Today, I'm sharing my top five favorite purchases from 2018 that I still use and love. 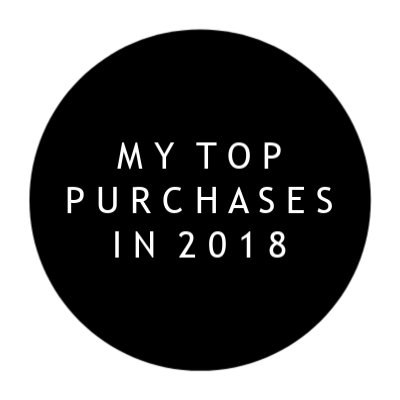 2018 was a much different year for me as far as shopping goes. I probably bought half as many items in 2018 than I did in 2017. My mindset on shopping just completely changed. 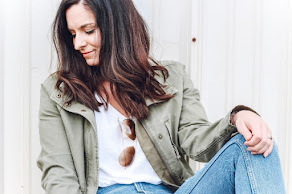 I stopped buying things for the sake of buying things (which can be extra difficult when you are a style blogger of any sort). I also focused more on quality than quantity. 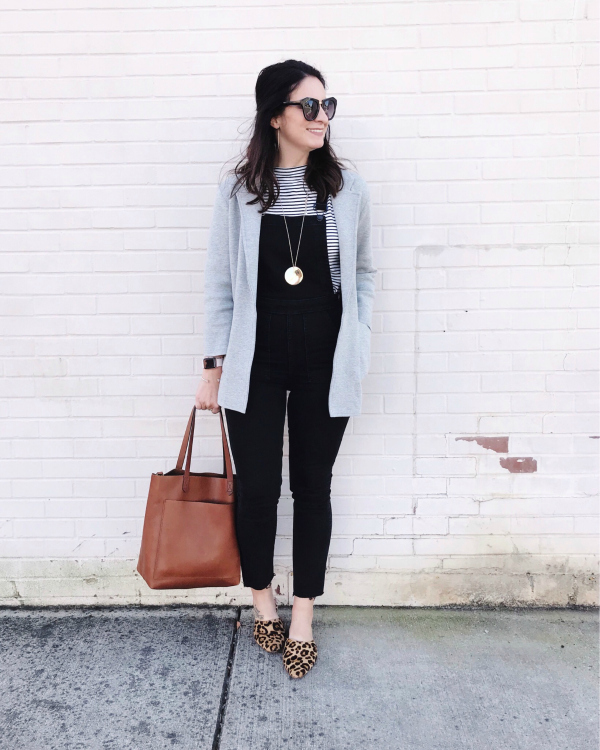 I evaluated my closet to create a solid base of basics. I can expand more about that in a future post because it was definitely a process and one that I am really glad I went through. 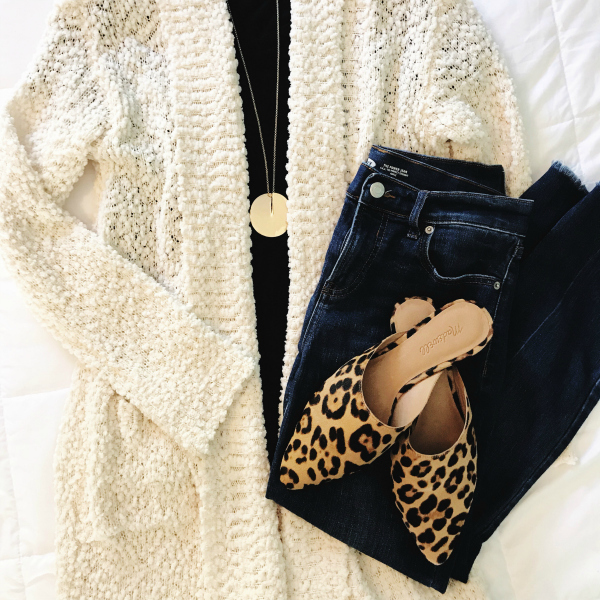 I'll always love style and shopping but having a closet that doesn't overwhelm me is incredibly refreshing! I would definitely say this is my most used purchase of 2018! I have been wanting a real leather black tote for years but just kept buying faux leather ones that I consistently needed to replace. I'm the girl who used to have 20-30+ purchases and now I have maybe six. I found that investing in classic, high quality bags was the way to go for me. 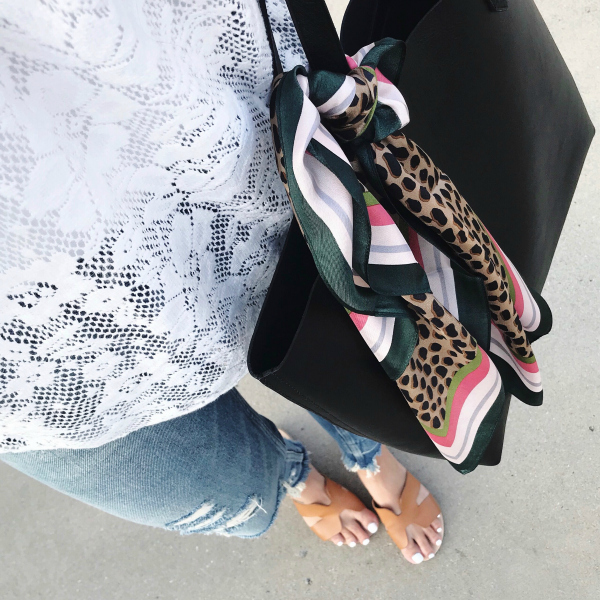 This Madewell tote has become my most favorite bag and I carry it pretty much every single day. It's big enough for my laptop but not bulky or too big. 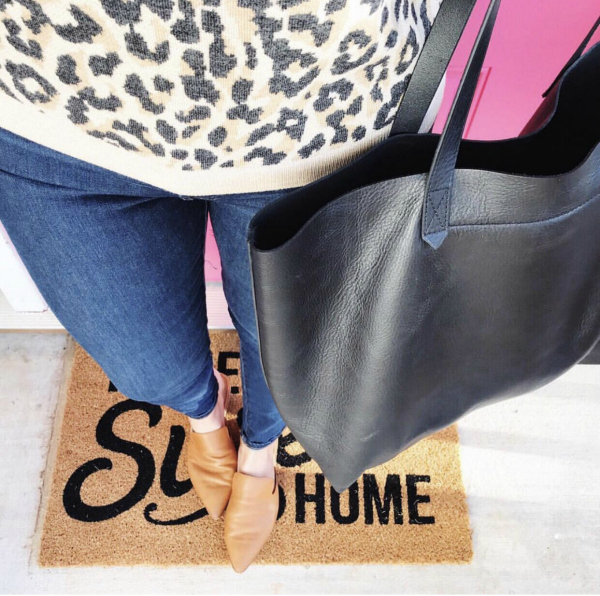 You just can't go wrong with a classic black leather tote! 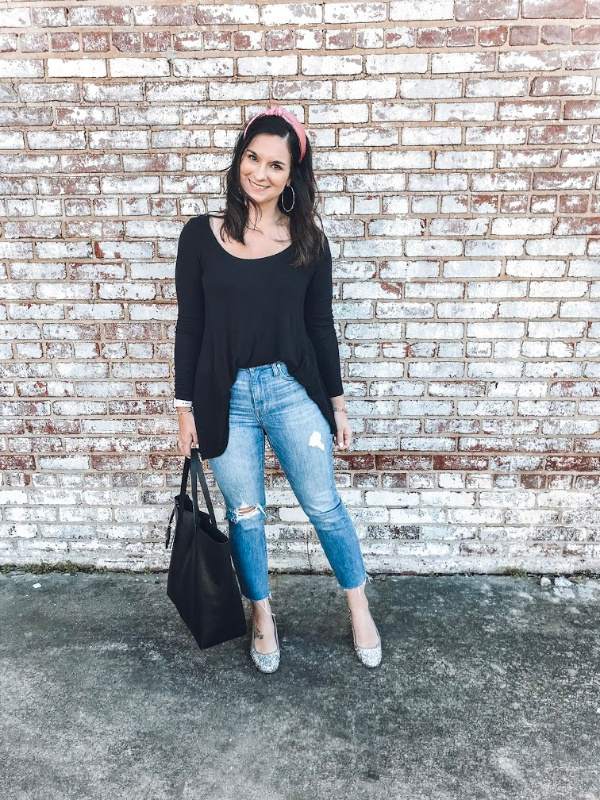 These mules are definitely my go-to shoe in my closet! 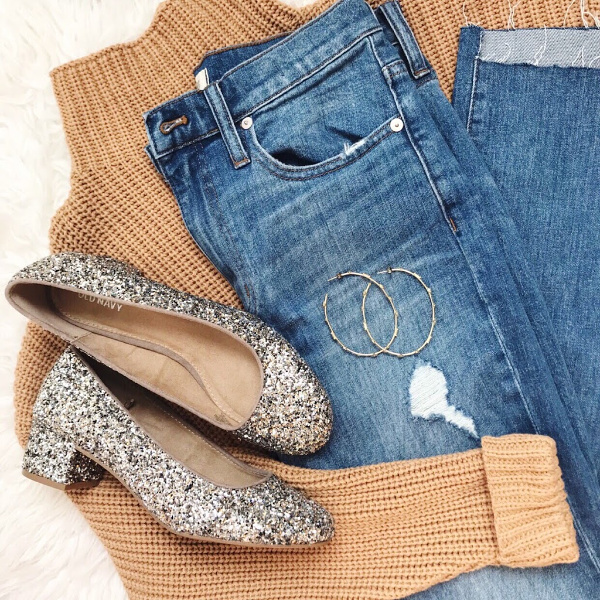 I bought my first pair of Madewell mules last year and loved them. Well, this leopard pair is even more comfortable, like bedroom slipper comfortable. The perfect throw on and go kind of shoe when you are running out of the door. I'm typically always a 8.5 in shoes but I sized up a half size in these mules for the best fit. 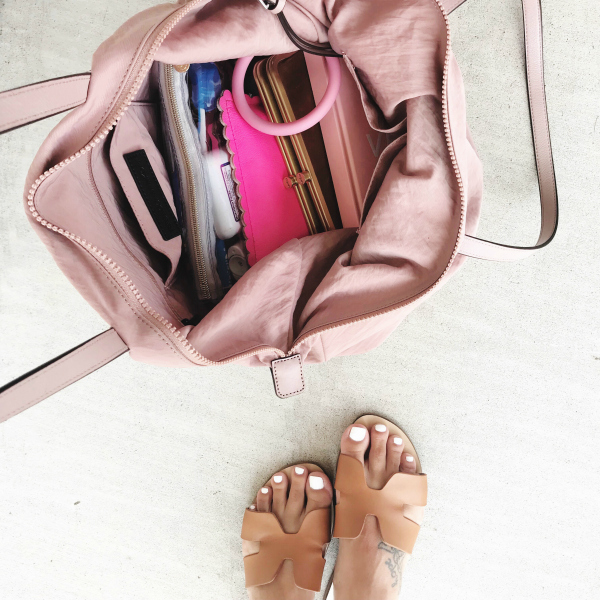 I shared more about this amazing key ring in one of your favorite posts from last year, How I Organize My Purse and it's definitely one of my favorite everyday items. 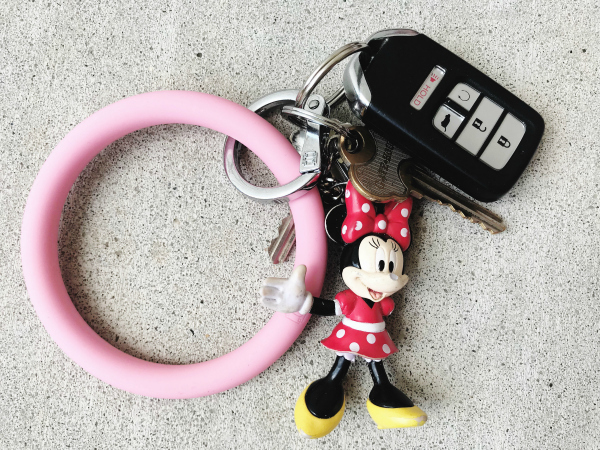 It's amazing how life changing a key ring can be but I can always find my keys now, even when they are at the bottom of my tote bag. I love these key rings so much that I've now gifted one to my mom for Christmas and my friend for her birthday! It's a must have! 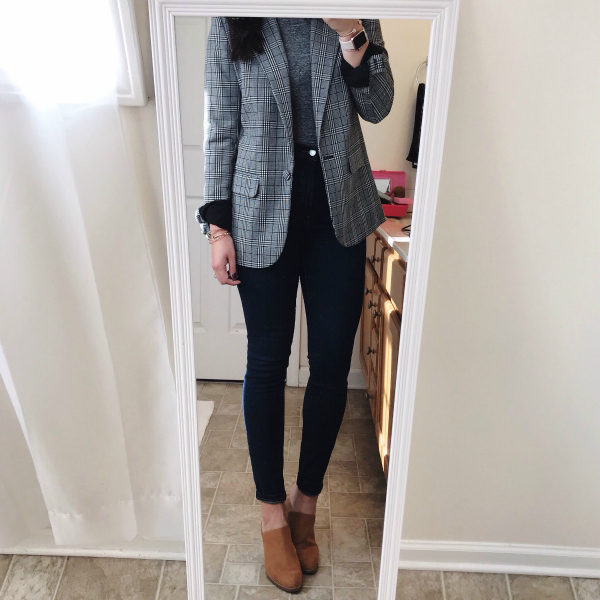 I have been living in Everlane denim since I got my first pair a few months ago. They are by far the best fitting high rise skinny jeans that I have ever found at this price point! The fit is amazing and so is the quality. They don't stretch out or sag with wear. They look just as good when you take them off twelve hours later as they did when you put them on! I own the dark wash and the black because they are that good. I find the fit to be true to size. Yes to an eleven inch rise! I have been a fan of Kendra Scott jewels for years and I have recently really been loving hoop earrings. During my birthday month, I knew I wanted a pair of Kendra Scott earrings since I didn't own any and I got this pair for 50% off! Did you know that you can get any piece of Kendra Scott jewelry for 50% off during your birthday month in store?! I also grab a piece for half off during my husband's birthday month. All you need to do is show them your ID! I have worn these earring almost daily and they aren't too heavy. I have super sensitive ears and these don't both me at all. I love them!